Love between women crops up throughout literature: from Chaucer and Shakespeare to Charlotte Brontë, Dickens, Agatha Christie, and many more. 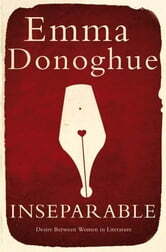 In Inseparable Emma Donoghue examines how desire between women in literature has been portrayed, from schoolgirls and vampires to runaway wives, from cross-dressing knights to contemporary murder stories. 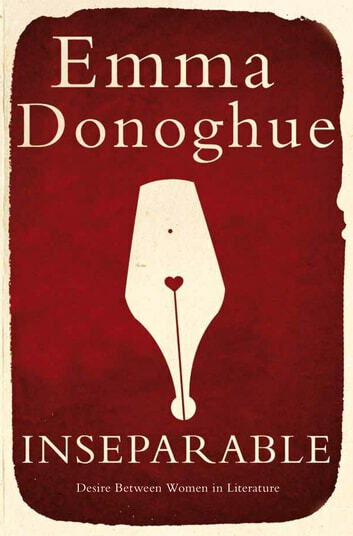 Donoghue looks at the work of those writers who have addressed the ‘unspeakable subject’, examining whether such desire between women is freakish or omnipresent, holy or evil, heart-warming or ridiculous as she excavates a long-obscured tradition of female friendship, one that is surprisingly central to our cultural history. A revelation of a centuries-old literary tradition – brilliant, amusing, and until now, deliberately overlooked. Literary Greatest Quotes - Quick, Short, Medium Or Long Quotes. Find The Perfect Literary Quotations For All Occasions - Spicing Up Letters, Speeches, And Everyday Conversations. Female Greatest Quotes - Quick, Short, Medium Or Long Quotes. Find The Perfect Female Quotations For All Occasions - Spicing Up Letters, Speeches, And Everyday Conversations. Gender Greatest Quotes - Quick, Short, Medium Or Long Quotes. Find The Perfect Gender Quotations For All Occasions - Spicing Up Letters, Speeches, And Everyday Conversations. Murder Greatest Quotes - Quick, Short, Medium Or Long Quotes. Find The Perfect Murder Quotations For All Occasions - Spicing Up Letters, Speeches, And Everyday Conversations.